"The matters of which man is cognizant, escape the senses in gradation. We have, for example, a metal, a piece of wood, a drop of water, the atmosphere, a gas, caloric, electricity, the luminiferous ether. Now we call all these things matter, and embrace all matter in one general definition ; but in spite of this, there can be no two ideas more essentially distinct than that which we attach to a metal, and that which we attach to the luminiferous ether. When we reach the latter, we feel an almost irresistible inclination to class it with spirit, or with nihility. The only consideration which restrains us is our conception of its atomic constitution ; and here, even, we have to seek aid from our notion of an atom, as something possessing in infinite minuteness, solidity, palpability, weight. Destroy the idea of the atomic constitution and we should no longer be able to regard the ether as an entity, or at least as matter. For want of a better word we might term it spirit. Take, now, a step beyond the luminiferous ether � conceive a matter as much more rare than the ether, as this ether is more rare than the metal, and we arrive at once (in spite of all the school dogmas) at a unique mass � an unparticled matter. For although we may admit infinite littleness in the atoms themselves, the infinitude of littleness in the spaces between them is an absurdity. There will be a point � there will be a degree of rarity, at which, if the atoms are sufficiently numerous, the interspaces must vanish, and the mass absolutely coalesce. But the consideration of the atomic constitution being now taken away, the nature of the mass inevitably glides into what we conceive of spirit. It is clear, however, that it is as fully matter as before. The truth is, it is impossible to conceive spirit, since it is impossible to imagine what is not. When we flatter ourselves that we have formed its conception, we have merely deceived our understanding by the consideration of infinitely rarified matter." What is Poe trying to tell us here? Among other things, it seems like Poe is questioning the validity of atomic theory. Today, a section of the scientific community is questioning this as well. As for spirits, I am convinced they exist. I also believe that spirits must follow the same laws of physics that every particle in the universe follows. Surely, science has not yet provided us with the proper atomic theory that can explain the composition of spirits. "Where did Poe do must of his writing (in dark rooms, park, or public places)? Also, what time of day he like to write?" "Poe is not against the atomic theory. As a matter of fact, the idea of atoms constituting the universe is an essential tool in his cosmological essay, Eureka, where he shows that matter and spirit is both different and the same." "I think Edgar A Poe was a cool man!!!" 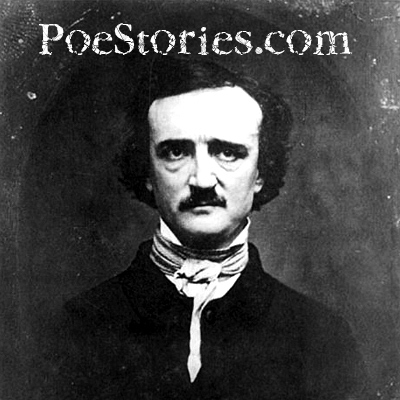 "Although Poe's poetry is dark, it makes me wonder if he actually is reflecting his life to it. Could it be his dire need to kill someone or could it be he had a really bad life. I read all about him but I still can't figure out why he had the thoughts he did." "this is really good but what does edgar allan poe do with all of these things exactly?"